Alright, we're finally to my favorite part: editing! This is what I spend most of my time doing and the part of filmmaking that I've spent probably the most thinking about (apart from the larger class of story of course). Editors are sometimes called the third storytellers of the film. First there is the screenwriter, telling the story through words in the script. Then the director takes the script and his interpretation and tells it on set. Then the editor gets the footage from the set and pieces the story together. Sometimes the finished product is completely different from the script (as was the case with Persimmon, the film I edited this year), but usually these three versions still all tell the same story, it just takes different shapes. The themes they all deal with are still there, they all deal with the same human experience. Editing is also, like cinematography, a very technical art. The ability of the editor to tell the story is often tied closely with their ability to use the technology at their disposal to place the images together. An editor is equal parts craftsman and artist. However, as with all art, it is not governed by technology. Sure, the technology is necessary, but learning the latest editing software won't necessarily make you a great editor. One must also learn pacing, juxtaposition, film grammar, and more. An editor must dig the emotive parts of the footage out of the pile (usually only about 1/10 of what is shot actually makes it to the screen, sometimes less) and place them together in a way that allows the audience to experience the emotion and power of the story. This transcends the tool, and that is where the artist must rise above the craft. Thus is the unsung job of the often forgotten editor. Did you even notice the editing? Or was it hard to notice how the images were placed together? If the editor did his or her job, then you may not have. How does this influence your viewing experience? Did it make the story more believable? Do the shots change rapidly? Or are they cut together at a slower pace? Is there a discernible rhythm among the shots? Do they flow together well? Were there any cuts that were really noticeable, such as jump cuts, where action isn't necessarily continuous? What sort of shots are juxtaposed next to each other? How does one shot influence the next? Does one shot receive more meaning because of the shot before it? Also look at the scenes surrounding the one you are looking at, how do they transition into each other? How does the flow or emotion feed into the next scene? Is there a larger rhythm between entire scenes? The entire film? What characters does the edit seem to focus on in key moments? Or, what objects? How often does the editor close in on a character, or stay with the wide shot? How does that influence the emotion in the scene? Do any of the scenes seem to reference one another? Are there similarities? Look for this especially between the beginning and the end, the filmmakers may place elements that "bookend" the film, tying the story together. How does the editing of the film you are watching compare to another film of the same genre or style? How does it compare to a film from a different genre? Are there certain things that seem to be the same? And what are the differences? Are these differences part of what makes the genre what it is? "Good editing makes a director look good. Great directing makes a film look like it wasn't directed at all." If the film is edited well, then you should just believe the story, you'll forget that you're watching a movie, and engage with the story. If editing has this power, then it's important to pay attention. 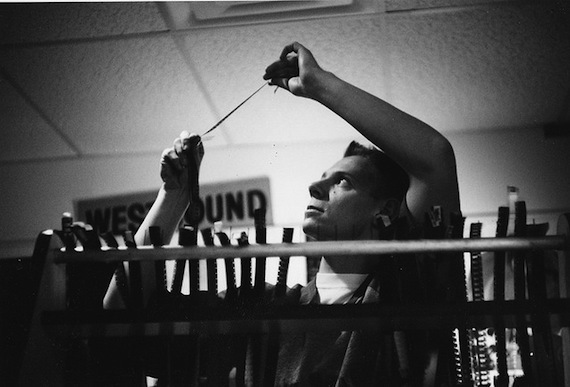 If you are interested at all in editing, you need to be introduced a film legend: Walter Murch. This man literally wrote the book on film editing with his book, In the Blink of an Eye. Much of his philosophy has now been adopted by editors all over the world, and it will open your eyes to what is possible in the editing room, and why the editing process is so crucial in the making of the film. It's a short read, so I might even recommend that you read it two or three times. 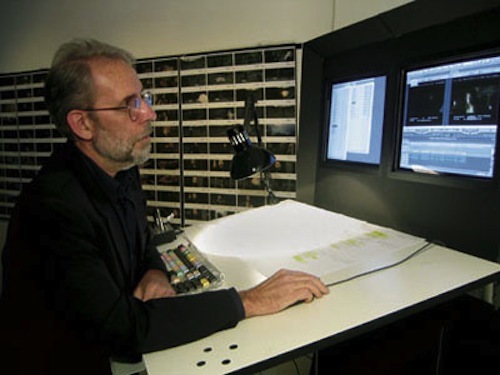 If you can't get enough of Walter, than you can also grab The Conversations: Walter Murch and The Art of Editing Film which is a collection of interviews with Walter Murch and are very insightful into his process and thinking. If you are also interested in the history of digital editing, you can also grab Behind the Seen, the story of how Walter Murch chose to use Final Cut Pro for Cold Mountain, instead of the traditional cutting of film or even Avid. I know this is probably the longest post in the series, but I really do believe that editing is an important part of filmmaking, a part that you should learn to analyze and understand. And hopefully you are starting to notice how these elements are interrelated, that looking at one means you are also looking at another. Part of looking at editing necessitates looking at the story, the camera movement and angles, the set design, lighting and color choices. All of them contribute to the emotion and power of a scene. Grab a film you love. If you can't think of one, maybe try watching one Walter Murch edited (Apocalypse Now, The Unbearable Lightness of Being, The Godfather: Part III, The English Patient, The Talented Mr. Ripley, K-19: The Widowmaker, Cold Mountain, Jarhead, and Tetro just to name a few). Now pick a scene in that film and watch it several times. How was it edited? Which shots were chosen and why? Was there any meaning created by putting these particular images next to each other? How fast was the scene cut? Try counting the different cuts and see how many cuts the editor makes per minute. How does that influence the rhythm and emotion of the scene? Now watch the scene before and the one after as well. How does it transition? How do the emotions of each scene flow into one another? Does your view of the scene change after putting it in a larger context? I'd love to hear what you find and what movies you chose, so throw your thoughts in the comments below!